In the Olympic games, the opening ceremony never fails to amaze and astonish spectators while continuously outdoing all previous performances. Manhattan-born store Opening Ceremony attempts to do the same with itself. While it’s debatable whether this release is a hit or miss, it’s definitely something we haven’t seen before. 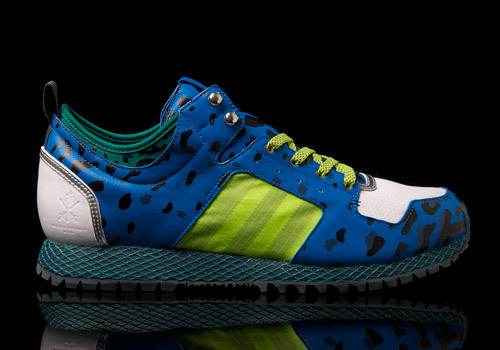 The collaboration consists of three New York Runs, all of which have very strange colorways. The other two mix both quiet and garish colors, while this one is one hundred percent flashy. I feel like it’s just hungry for attention. 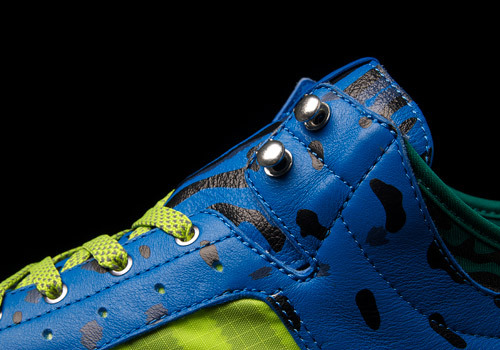 Some say bright blue is too much and some say cheetah print is out of the question. Well those people need to stay away from these because the combination is even wilder. 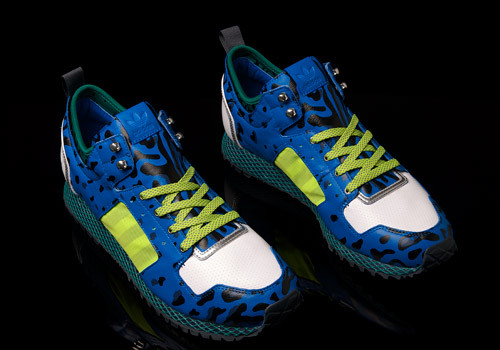 This may have possibly been executed better if done on a basketball silhouette because the blue animal print looks slightly out of place on this model; while basketball models can handle some crazy mixes, running shoes have smaller boundaries. And this pair may have just surpassed them. Once your eyes can break free from staring at the blue cheetah part of the upper, you’ll notice some other interesting features. In a lime green color, there are both the stripes and laces. But both have something more to them than a wacky color. 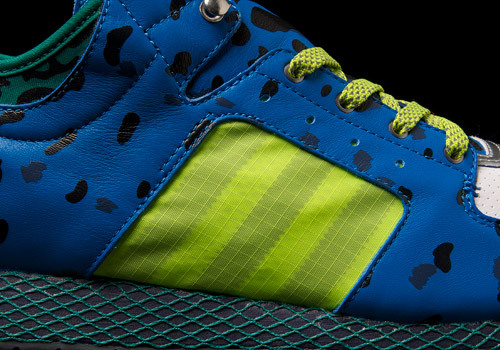 The stripes aren’t physical strips of material like most adidas products. They’re created with a slight color variation on a ripstop fabric, reinforced nylon which is both light and tear-resistant. This may seem like a shoe you’d want to keep clean but it could definitely take a beating if it needed to. 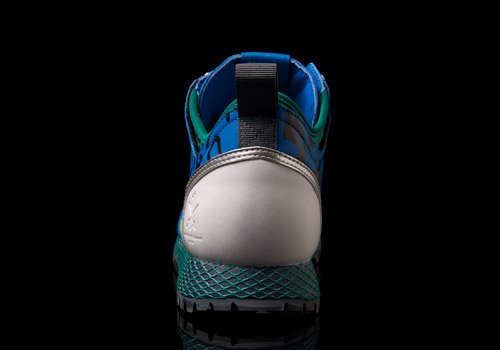 The lacing of these New York runners is similar to that of a hiking shoe. Not only do they come equipped with what look like hiking laces, but they’re gussied up with metal hiking hooks as well. If I had to put a name on it, I’d say we have a pair of trail shoes here. The third odd color on these hiking trainers is the teal which is on both the sock liner, midsole, and insole. 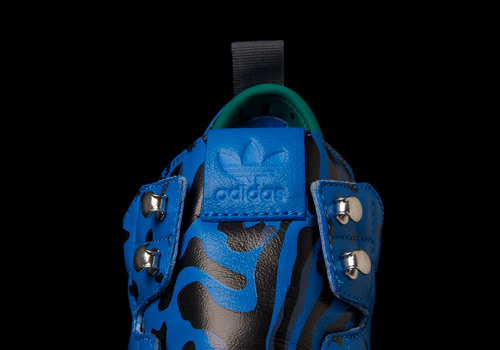 The midsole is covered in a crosshatched pattern called a Dillinger web, which is commonly seen on a variety of old school adidas models (including running shoes). Also common on running shoes back in the 90s was the use of neoprene. 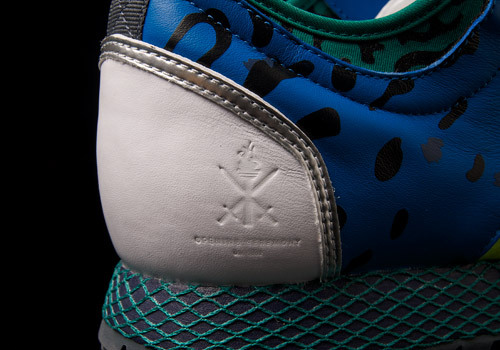 The neoprene material is used for the teal sockliner which is similar to the upper in that they both carry the same style cheetah print, just with different colors. It seems a little excessive but it’s only a sockliner so I’m not going to make a big deal about it. It wasn’t much of a surprise when we took a look inside the shoe. You guessed it, more cheetah print. At least this time it has some depth to it by creating individual layers for the cheetah spots which gives a unusual but comforting feel when you slip your feet into them. 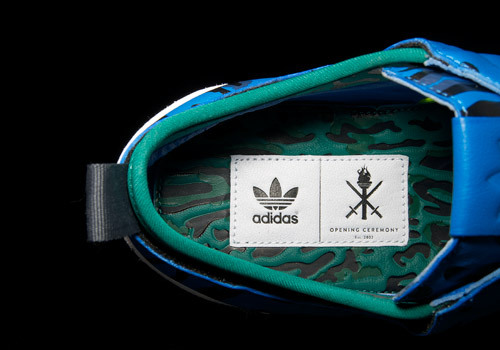 And right at the heel of the insole is the dual-logo of adidas and Opening Ceremony. I can’t quite say if I hate this shoe or if I want to put it in a display case in my living room. 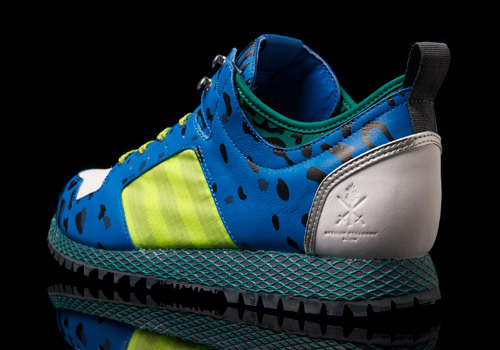 Love it or hate it, there’s nothing around like it so good job to Opening Ceremony for not killing yourselves with whatever you were smoking while designing them. The other ecru-ish CW is so much nicer.. But love the style.